Ideal for showcasing your favorite classroom books. Easily view and access the books from a tabletop or shelf top. 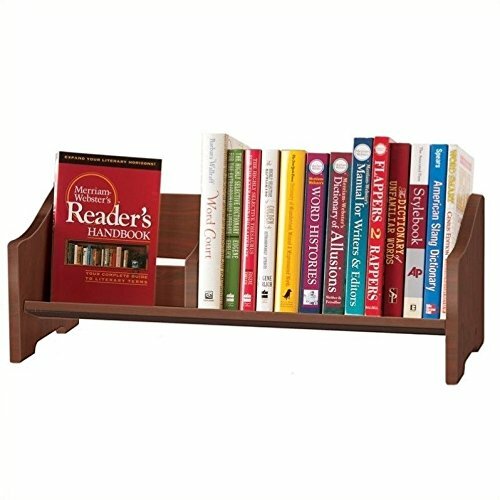 Features an angled base to nest the books and an adjustable book stop so books remain upright. Easy-clean cherry laminate construction. Adult assembly required. 24"W x 10"D x 8.5"H.